Singing songs about our American heritage is a wonderful way to enhance learning in homeschool. 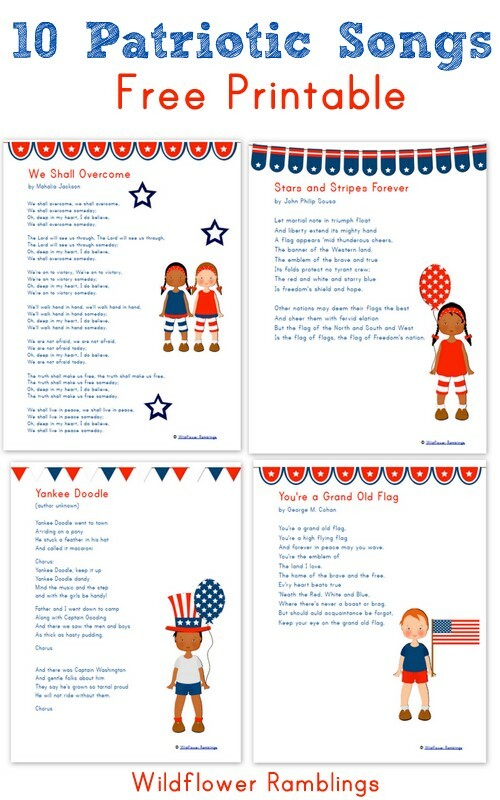 This printable pack of 10 Patriotic Songs for Children are free at Wildflower Ramblings. CLICK HERE for a TON of Homeschool Freebies!